“The old people knew only day and night, we only know twilight,” wrote Christian Friedrich Hebbel, born 200 years ago. Did they perhaps intuit the lighting technology of today? 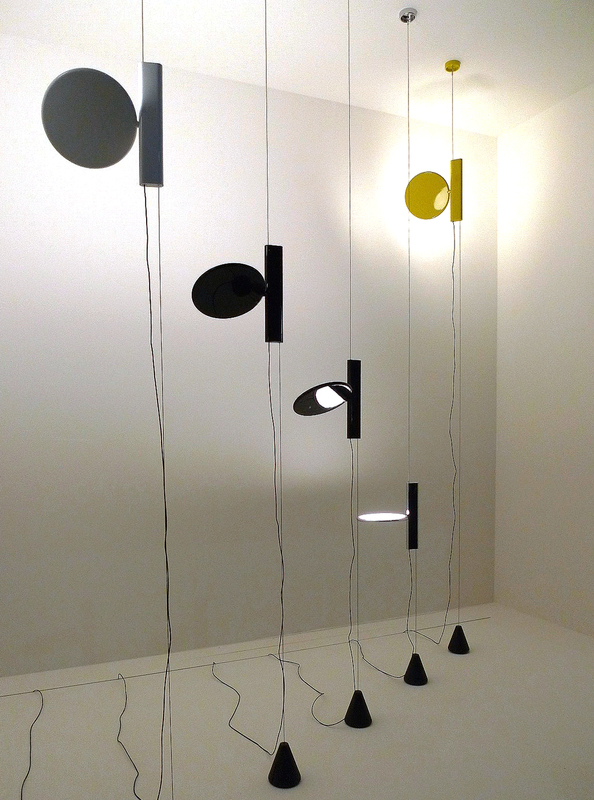 Anyone touring the halls of the Euroluce at the Milan trade fair grounds and studying the luminaires on show at the Fuori Saloni soon felt a bit dizzy. Twilight everywhere you looked. The only question is whether it was dawn or dusk that we sensed, the dawning of spring or the swansong of fall? 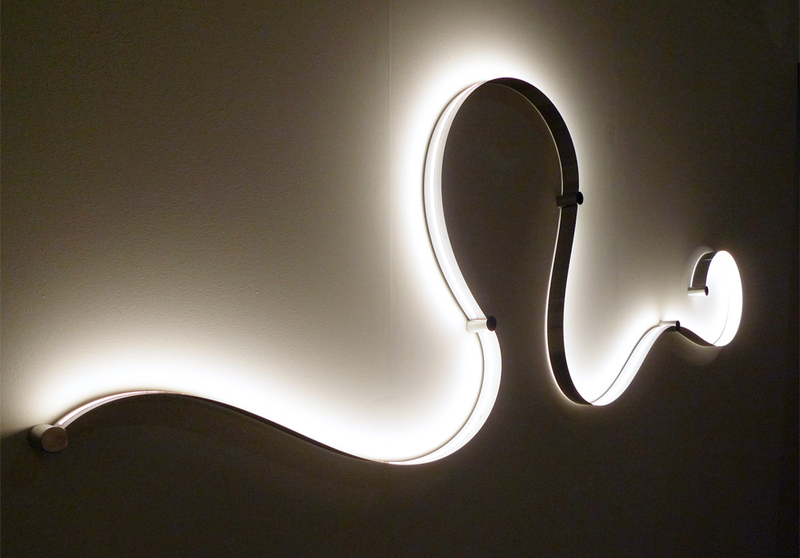 Unlike many a furniture maker, manufacturers of decorative luminaires have gone all out and brought countless new products to the fair. 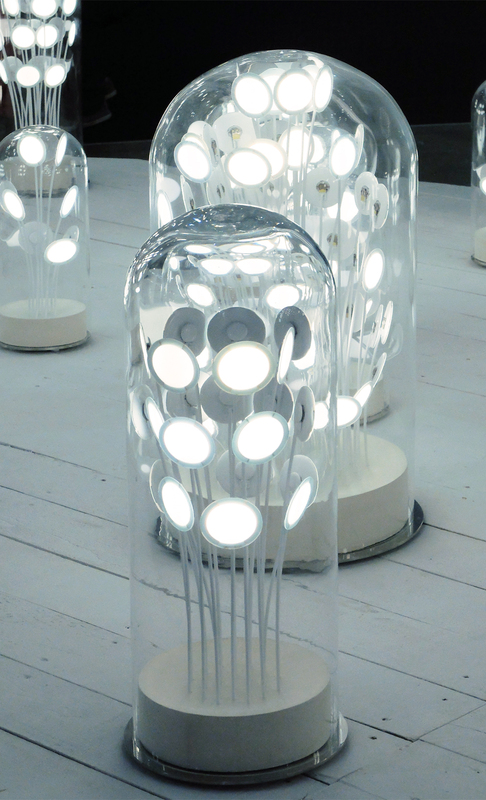 And since they have largely left at home the traditional lamps and fluorescent tubes that deliver even light, it was mainly warm and cold light that was on display, flowing more or less atmospherically from the diodes. Indirect light directed against a wall or ceiling plays a major role again, as does the melding of new technologies with old shapes. 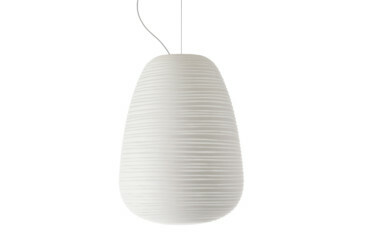 Foscarini, for example, had well-known luminaires such as “Caboche”, “Twiggy”, “Big Bang” and “Tress” on display – each in two versions. 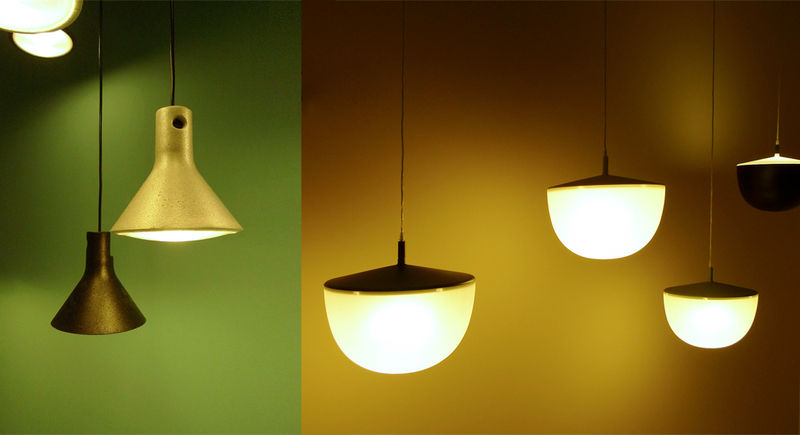 The one used conventional lamps, and next to it, the other, a new technological development boasting LEDs. 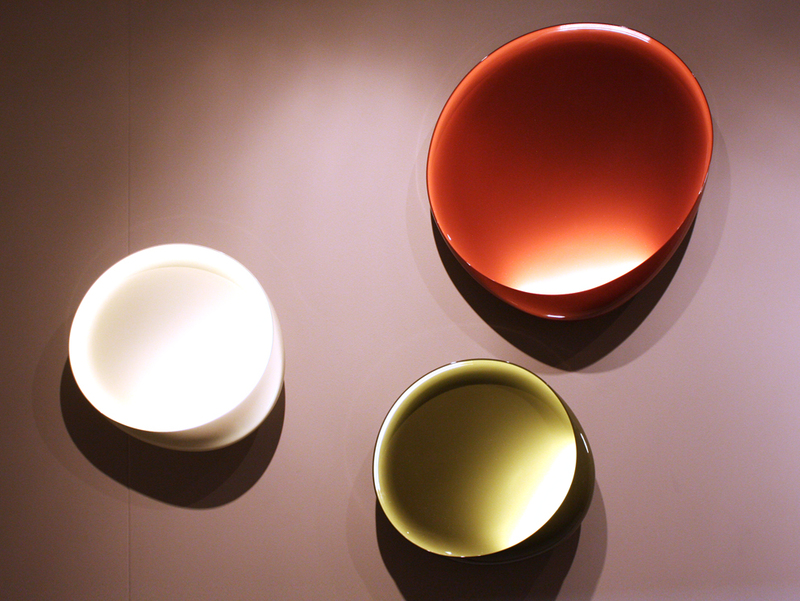 In the case of “Caboche” by Patricia Urquiola and Eliana Gerotto, for instance, several circuit boards have been used such that the respective LEDs shine in different directions in order to achieve the lighting effect associated with the product hitherto. This is about as meaningful as developing hybrid automobiles, which with their two engines weigh so much more than conventional ones and yet seek through perfect harmonization to use the engines as sparingly as possible. The idea does not always work. 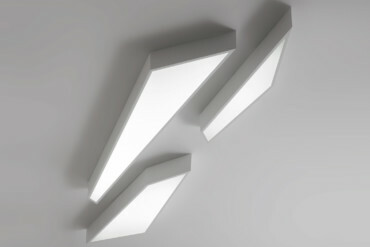 It remains to be seen how it plays out in the case of luminaires. 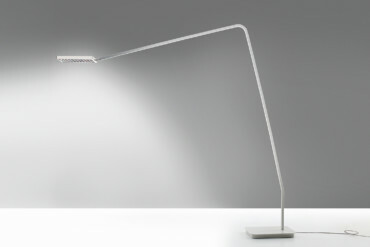 To be fair, Foscarini also has new LED luminaires on show, such as “Lightwing”, designed by Jean Marie Massaud. 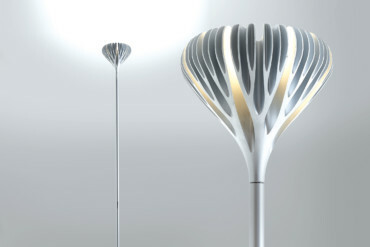 To allow variations in the light reflection, the lamp section includes an adjustable wing – the diodes shine onto it. 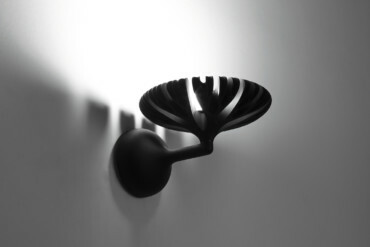 The Italian heavyweights of Fontana Arte, Luceplan, Artemide and Danese all lined up to present a whole array of new products. Not all of them were convincing: Daniel Libeskind’s “Paragon” for Artemide is somehow intended as a geometrical toy for the desk top, and yet is overly reminiscent of a “Transformers” action figure. 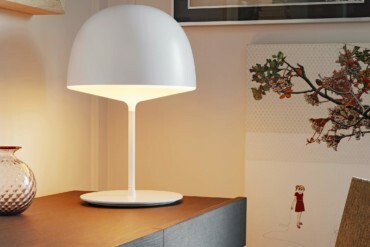 Flos has opted for a different approach when adapting familiar products to new circumstances. 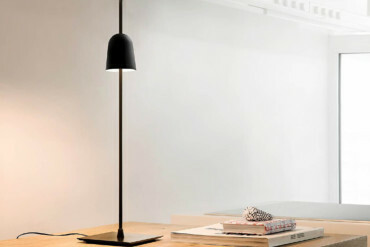 The company has called its LED-based re-edition of designs by the most renowned of Italian luminaire inventors “Re-Lighting Gino Sarfatti” – back in 1939 he founded Arteluce, designed countless luminaires and himself handled marketing and distribution until his company was sold to Flos in 1974. 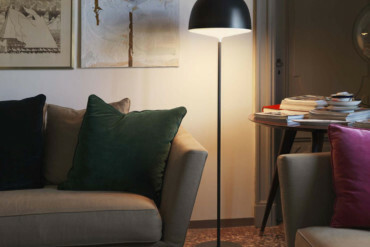 In the showroom on Corso Monforte Flos outlined how it intends to dip into this corporate treasure trove – with the “Edition No 1” of, as a first set, five famous Sarfatti designs. 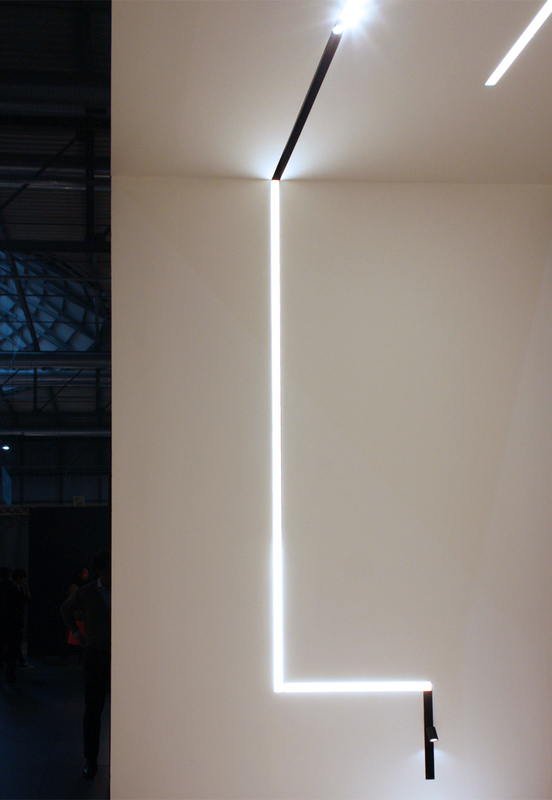 Not to forget that the Flos booth at the fair was truly overflowing with new products. 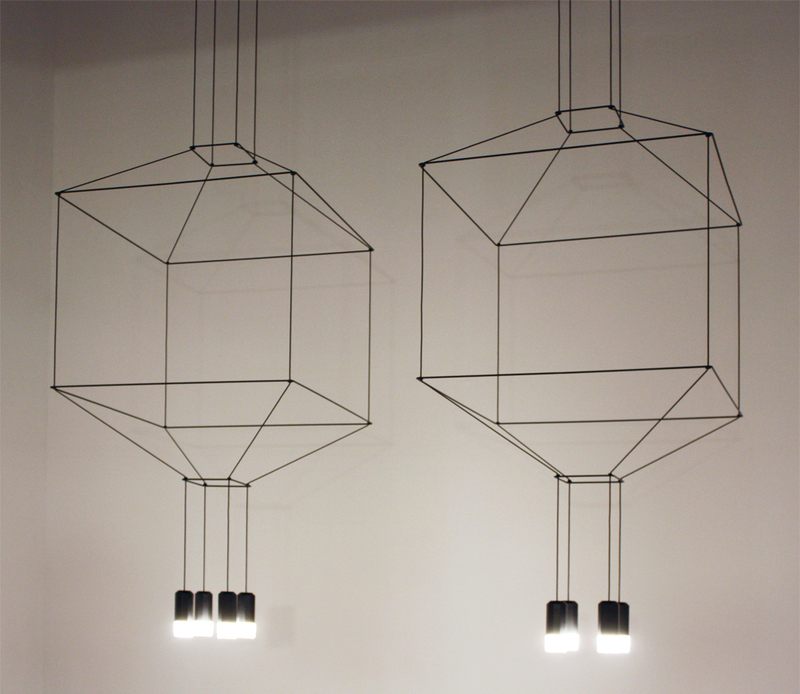 They included the poetic creations of Michael Anastassiades, whose “String Lamps” float on thin black cords without it being clearly discernible which cord is live and which one is simply there to hold things in place. 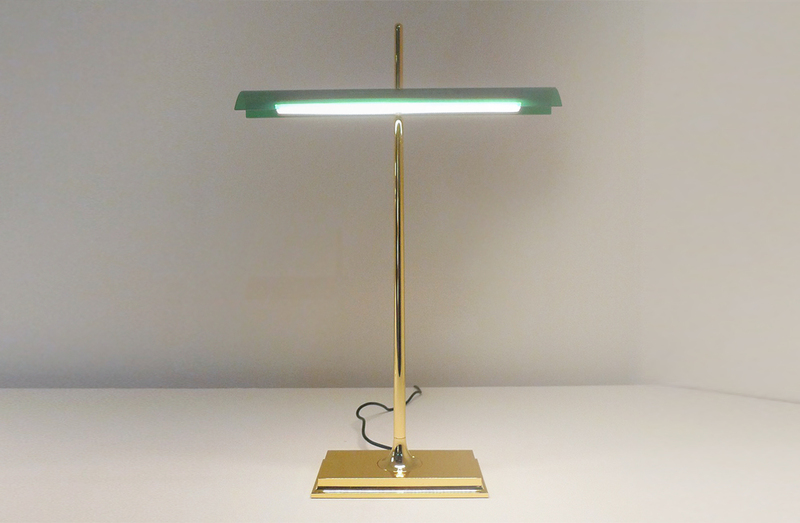 Ron Gilad has come up with an exciting re-interpretation of the traditional “Bankers Lamp” – in a slender LED version. One of the very elegant solutions that prompted a lot of talk was “OK”, the brainchild of Konstantin Grcic and his assistant Jan Heinzelmann. 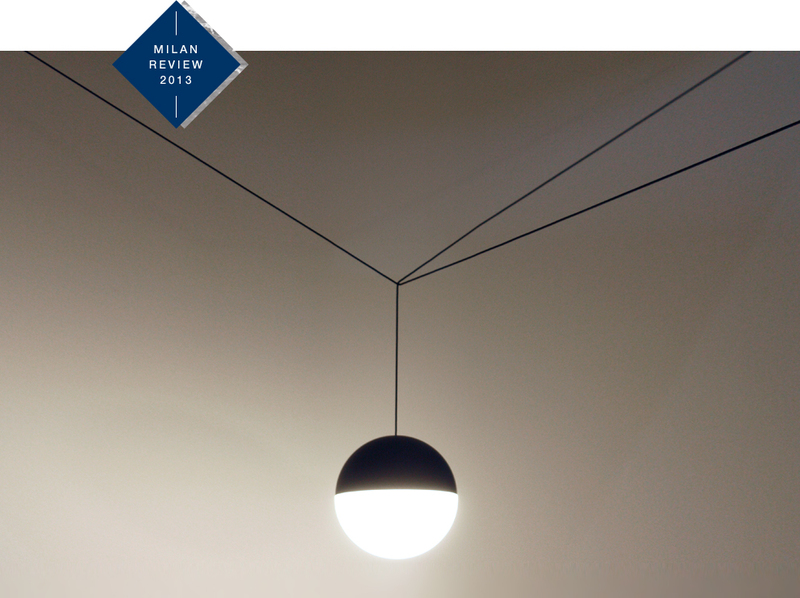 The luminaire references “Parentesi”, which Achille Castiglioni designed for Flos in 1972 and which itself was based on an idea by Castiglioni’s friend Pio Manzù, who initially wanted to span a swivel column with fluorescent tubes between the ceiling and the floor. 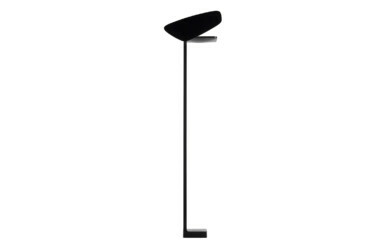 Manzù died in 1969 before the project had been realized, and Castiglioni then reduced the object in a series of steps, affixed to a steel cable attached to the ceiling a counterweight, a 100-watt spotlight and a simple height adjuster made of bent tubular profile with a rubber connector. 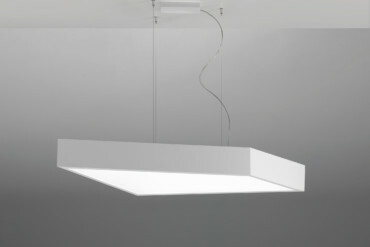 Today, luminaires are no longer designed ‘around the lamp’, Grcic emphasizes on his Website, outlining the design process underlying “Parentesi” and “OK”, whereby the focus, he says, is now on designing the light source itself. 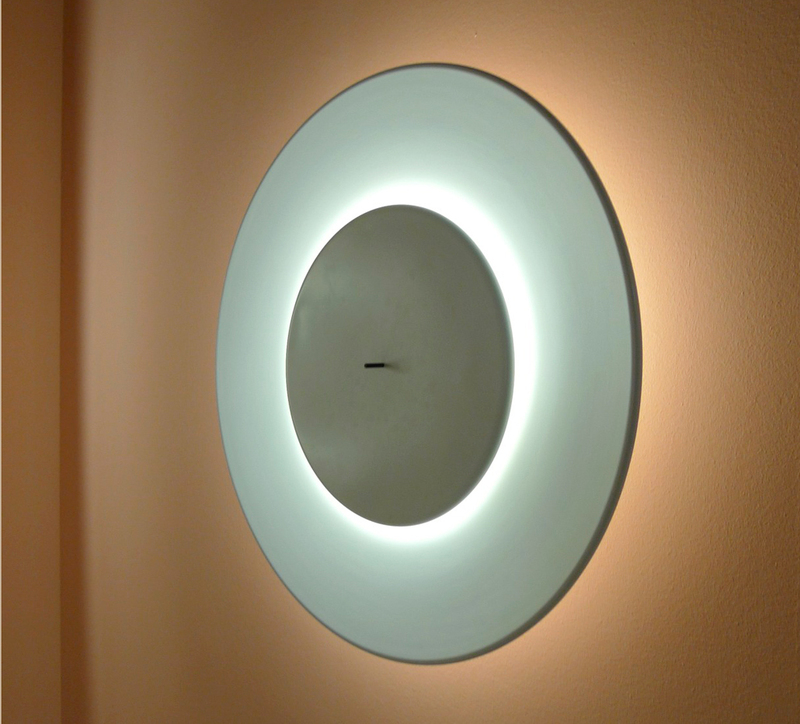 The result: a round lighting element with 23W LEDs positioned as with a TV or a computer screen as a strip wrapping round the sides. 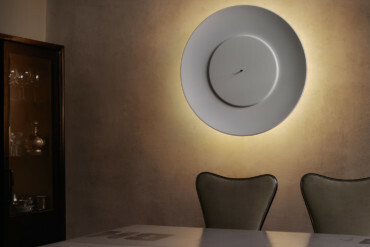 As with “Parentesi”, “OK” can be set at any height and the flat round lighting element swivels 360°. 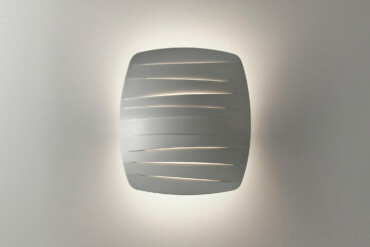 However, unlike “Parentesi”, the 1,035 lumen generated are less spotlight and more illumination. “OK” successfully transports an historical design into the here and now. 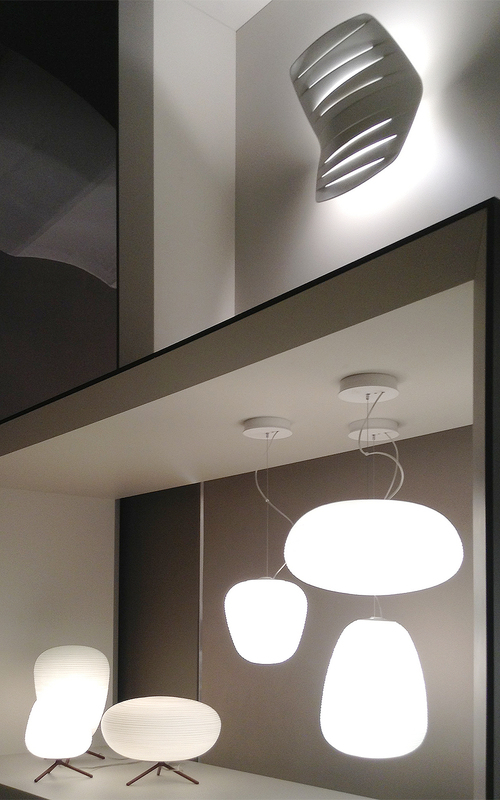 The ceiling mounting is Grcic’s homage to the Castiglioni original. 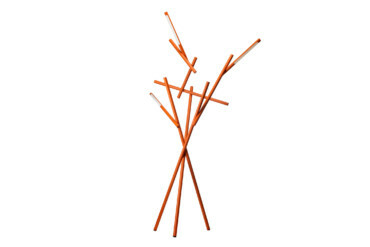 The Fuori presentations likewise offered a rich blend of different luminaire designs: Dirk Vander Kooij came to fame with furniture made from recycled plastic by a robot working with endless cords. 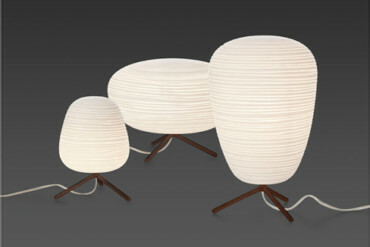 Now, his 6kg “Satellite Lamp” has gone on show at Spazio Rossana Orlandi, alongside countless other luminaire projects. 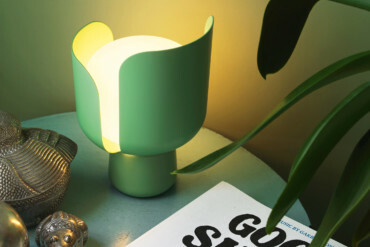 These included the latest designs from Tel Aviv’s Nir Meiri, who loves to utilize unusual materials for his luminaires. 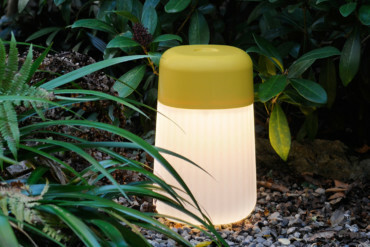 There are lampshades made of desert sand, oriented strand board (OSB) and old flower pots – and for his “Marine Light” series he has gone for seaweed: thanks to the material’s irregularities it creates a great contrast to the heavy base of the luminaire, which gleams from within. The seaweed dries on the luminaire’s frame and is then treated to preserve it. 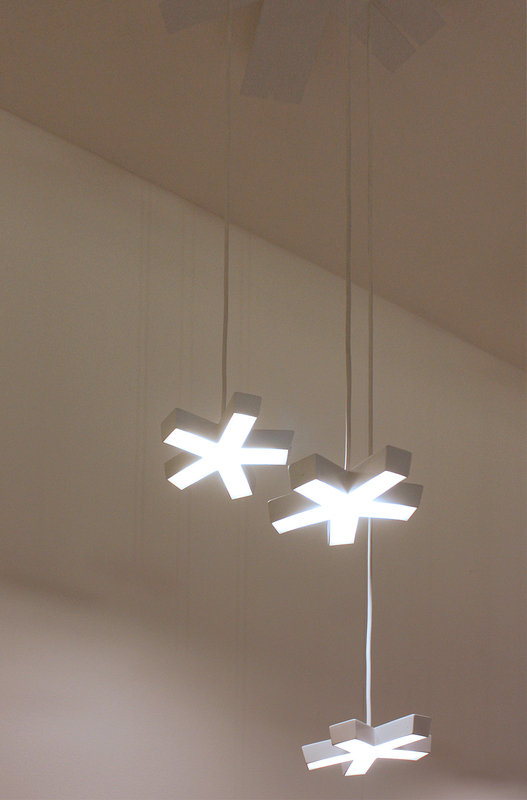 In the collective Polish exhibition at “designjunction” in the Pelota Hall, designer Bashko Trybek (born in 1977) exhibited his Gdansk luminaire with an LED light set. Is this simply kitsch, ethnic or design? At any rate, the miniature crane brings to mind Solidarnosc and old Andrzej Wajda movies.